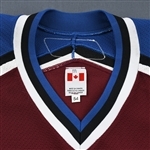 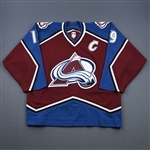 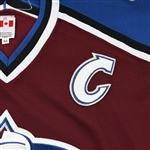 Joe Sakic wore this burgundy jersey while playing for the Colorado Avalanche during the 2006-07 National Hockey League season. 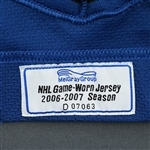 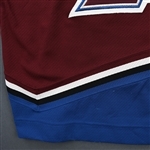 It includes the captain's "C."
The jersey is a size 54 and is registered into the NHL-MeiGray Game-Worn Authentication Program with tag number D07063, sewn into the inside hem of the jersey. 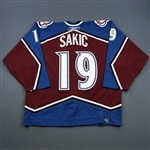 Sakic played all 20 of his NHL seasons from 1988-89 to 2008-09 with the Quebec Nordiques/Colorado Avalanche franchise. The 2012 Hockey Hall of Fame inductee captained the Colorado Avalanche to Stanley Cups in 1996 and 2001, winning the Conn Smythe Trophy in 1996 and the Hart Trophy in 2001. 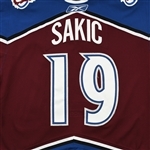 Sakic posted six 100-point seasons across three different decades. 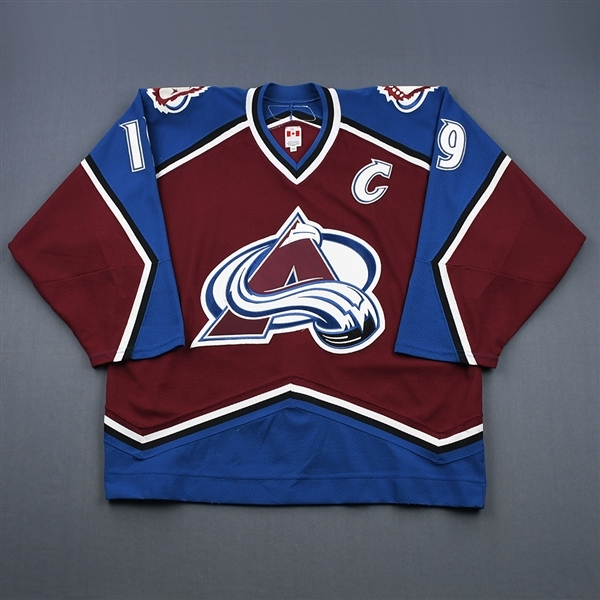 He scored 625 goals with 1,016 assists (1,641 points) in 1,378 career NHL games. 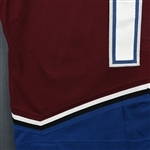 All three of his All-Star appearances came after he turned 30.